Sequence risk is also called sequence-of-returns risk. It becomes a danger as an individual takes withdrawal from their retirement savings. The order or the sequence on annual investment returns is a primary concern for retirees who are living off the income and capital of their investments. 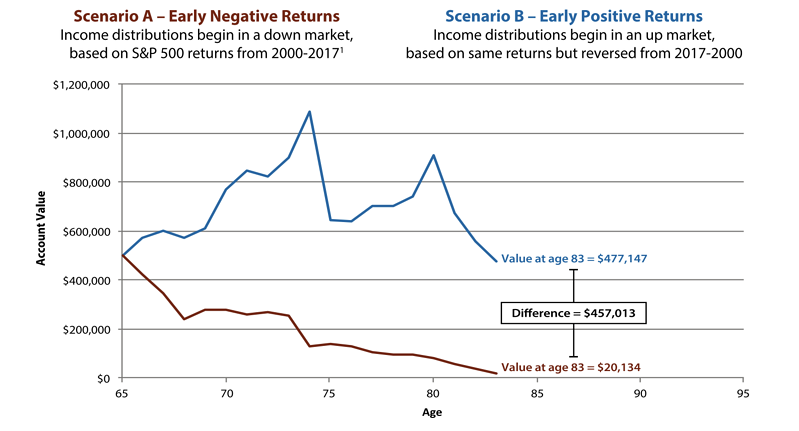 As you will see in the graphs below, the timing of negative returns can have a dramatic and negative impact to one's retirement savings. Let's say Steve, age 65, has $500,000 in savings invested in an index fund that mirrors the performance of the S&P 500. He begins to withdraw 5% each year for income. Compare the difference in his portfolio balance in the graph below. In each scenario, the average annual rate of return is 4.95 percent. But starting withdrawals in years with negative returns yields a very different portfolio outcome than when withdrawals begin in years with positive returns. 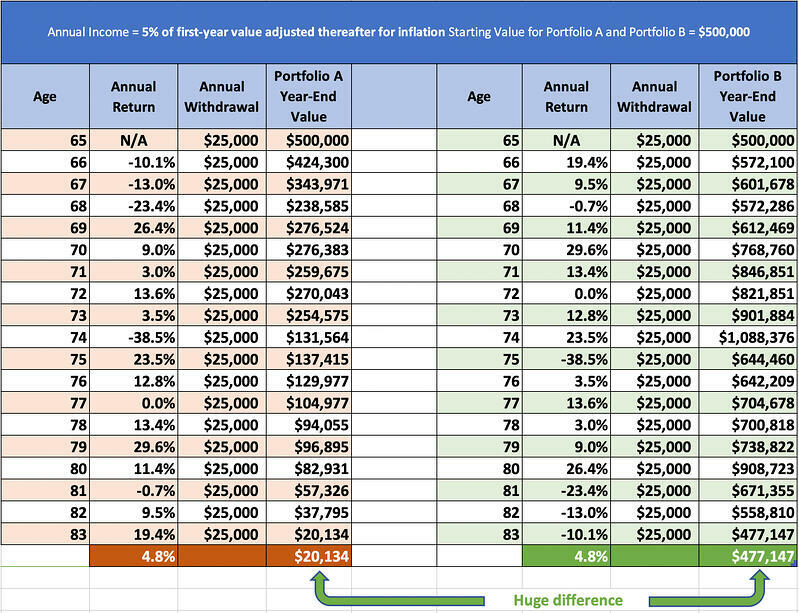 At age 83, Steve has only $20,134 left in account value (scenario A), when withdrawals began in a negative market. 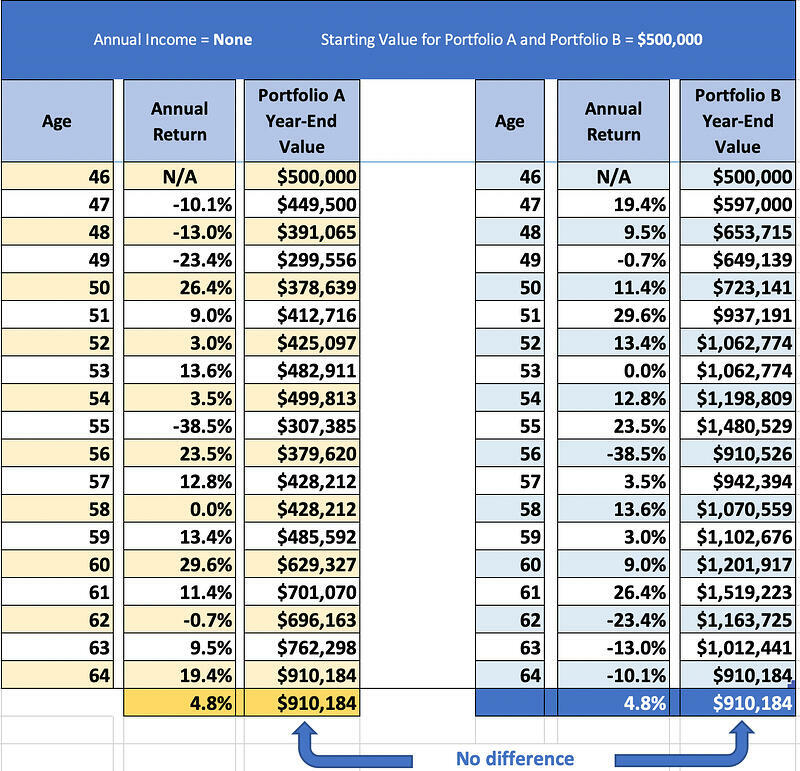 In scenario B, Steve has $477,147 in account value after 18 years, a difference of $457,103! More portfolio account value is preserved when withdrawals begin in years with positive returns. 1 - Source: Standard & Poor's Financial Services LLC (S&P), a subsidiary of The McGraw-Hill Companies, Inc. The danger comes when an investor receives lower or negative returns and at the same time is taking withdrawals to meet their income needs. Financial outcomes can be dramatically different depending on when and how a person begins their retirement days. How can you protect your retirement assets against Sequence Of Returns Risk? Retirees can act to mitigate sequence of returns risk, such as allocating assets to different type of accounts and securing future guaranteed income from the use of insurance products. Think of this as creating your own pension. We discuss Sequence of Returns Risk and other retirement planning topics at our events. 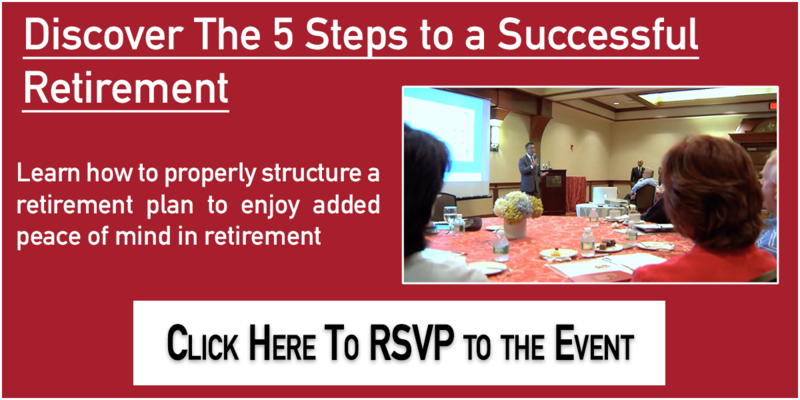 Click here to RSVP to an upcoming event and learn more about retirement planning options and how to properly structure a retirement plan. 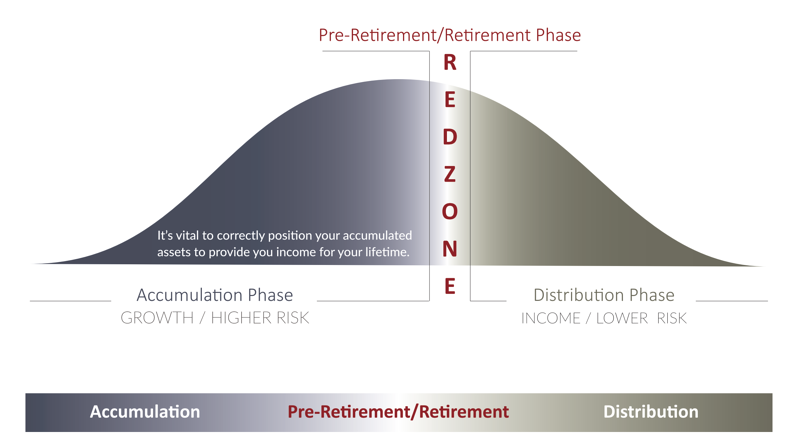 The examples shown are hypothetical, are used for illustration purposes only, and do not take into account other sources of retirement income. It is not recommended that one invests 100% of assets in one type of account. Past performance is not an indication of future results.